RAYNE, La. – After an almost two-year investigation, Louisiana Department of Wildlife and Fisheries Enforcement agents cited Kaenon A. Constantin, 25, and a juvenile from Rayne, for violating the Endangered Species Act, hunting from a public road and obstruction of justice. Violating the Endangered Species Act brings up to a $50,000 fine and a year in jail. Hunting from a public road carries up to a $15,000 fine and six months in jail. Obstruction of justice brings up to 10 years in jail. 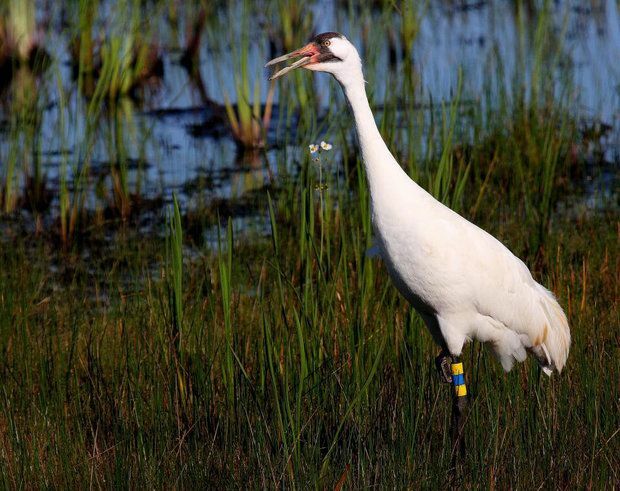 In 2016, Trey Joseph Frederick, III of Beaumont, TX was put on probation for shooting two endangered whooping cranes belonging to the reintroduced flock in Louisiana. Frederick’s probation prohibited him from hunting or fishing anywhere in the United States and from owning or possessing firearms or dangerous weapons. Frederick broke the terms of his probation by hunting from a vehicle with an AR-15 rifle along a Jefferson County road. He appeared in court today. U.S. Magistrate Judge Zack Hawthorn sentenced Trey Joseph Frederick, III to 11 months confinement in Federal prison, 1 year supervised release in addition to the standard and special conditions of his original sentence for his violation of the Migratory Bird Treaty Act of killing two Whooping Cranes of the Louisiana flock. The only exception is that he waived the 200 hours of community service. The reason for waiving the community service is that he wants all of his time, when he is released, working to obtain the money to pay the original restitution of $12,907.50 each to the International Crane Foundation and to the Texas Parks and Wildlife Foundation. Kudos to The Honorable Joe Batte, the prosecuting attorney and to US District Court for the Eastern District of Texas, The Honorable Magistrate Judge Zack Hawthorn for pursuing this case and seeing that justice was served. Also, special thanks to all agencies and individuals who rendered their time and efforts to investigate this case. 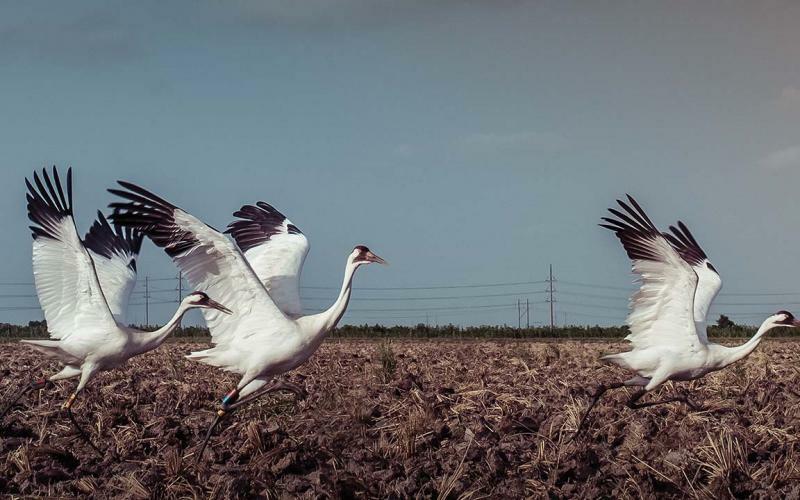 The sending of letters and the courtroom attendance of members of the Golden Triangle Audubon Society, the Houston Audubon Society as well as the International Crane Foundation was recognized by Judge Hawthorn in supporting his decision. Special thanks for those attending today: Edra Bogucki, Sheila Hebert, John Park, Debbie Bradshaw, Joanna Friesen, Barbara Tilton, Houston Sliger, and Sherrie Roden. FOTWW would like to thank Sherrie Roden for allowing us to use her account of today’s court proceedings. A Gueydan man pleaded guilty on July 7 in Federal Court in Lafayette for migratory bird violations that occurred in Vermilion Parish. Judge Carol B. Whitehurst of the Western District Court accepted the guilty plea of Lane T. Thibodeaux, 21, for taking a whooping crane for which there is no season, taking migratory game birds out of season, from a moving vehicle and without a Louisiana hunting license, and wanton waste of migratory game birds. Judge Whitehurst sentenced Thibodeaux to serve 45 days in Federal Prison for each of the five convictions to run concurrently and a $2,500 fine. He must pay his fine in full within one year or he will have to serve 45 days in Federal Prison for each of the five convictions to run consecutively. 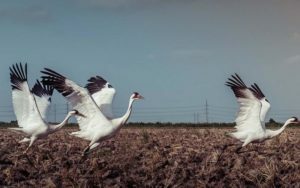 Louisiana Department of Wildlife and Fisheries (LDWF) enforcement agents began investigating a whooping crane that was found in a field just north of Gueydan off of Zaunbrecher Rd. with a gunshot wound in its left leg on Nov. 4, 2014. The crane was transported to the LSU Veterinary School where it had to be euthanized because of its gunshot injury. 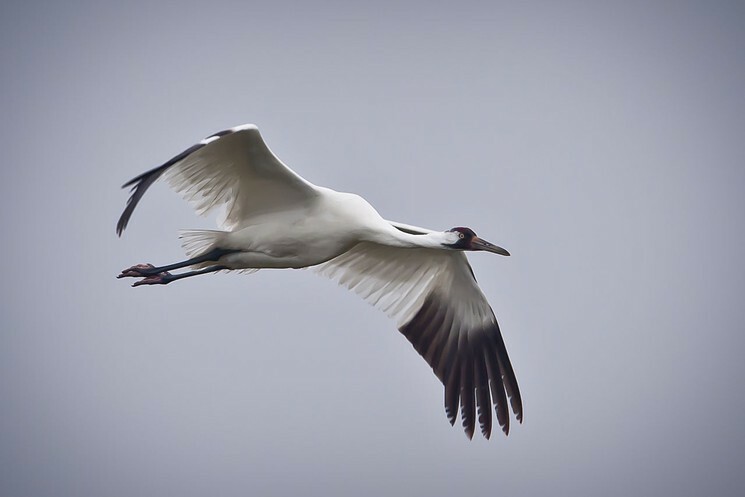 Through the course of the investigation agents were able to ascertain information from confidential informants that told them Thibodeaux was the person that shot the whooping crane. Agents were able to obtain a search warrant for Thibodeaux’s phone and then collect videos and photos showing Thibodeaux shooting migratory game birds from a vehicle off of a public road near the area where the whooping crane was found. The phone also contained information of Thibodeaux being involved in illegal narcotic activity, which was turned over to the Vermilion Parish Narcotics Task Force. During the investigation agents also learned that Thibodeaux threatened the informants to not give any information to LDWF agents about the whooping crane he shot. Agents arrested Thibodeaux on charges of felony witness intimidation on March 4, 2015 and those charges are still pending at this time. The crane in this case had been released in January of 2014. LDWF is working cooperatively with the USFWS, USGS, the International Crane Foundation and the Louisiana Cooperative Fish and Wildlife Research Unit to bring the species back to the state. 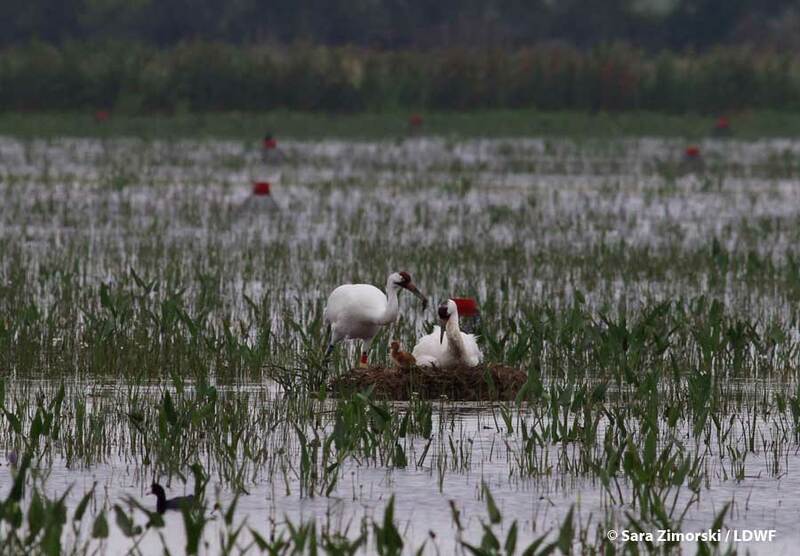 This non-migratory flock of whooping cranes is designated as a non-essential, experimental population but is protected under state law, the Endangered Species Act and the Migratory Bird Treaty Act. The confidential informants will split a reward for their information that led to the arrest and conviction of Thibodeaux. The reward money consisted of $1,000 each from LDWF’s Operation Game Thief program and the Louisiana Wildlife and Fisheries Foundation; $5,000 from The Humane Society of the United States and The Humane Society Wildlife Land Trust; and $3,000 from anonymous donors. The lead LDWF investigative agent for this case was Senior Agent Derek Logan with assistance from Lt. Beau Robertson and Sgt. David Sanford. The Louisiana State Police Crime Lab and PC Recovery in Lafayette assisted with collecting the data from the seized cell phones. The Vermilion Parish Sheriff’s Office also assisted with the execution of warrants.